Tony Finau is a professional golfer and plays on the PGA Tour. In January 2018 he signed a multi-year agreement to use PING golf equipment. Finau has played in two U.S. Opens, two British Opens and three PGAs since 2015 and will be making his first Masters appearance in April 2018. At the end of his third season on the PGA Tour, he ranked 19th in the FedEx Cup standings. Placing 49th in the 2017 world ranking made him eligible for all four of golf’s major tournaments in 2018 and most PGA Tour events. His first PGA Tour title was the Puerto Rico Open in March 2016. 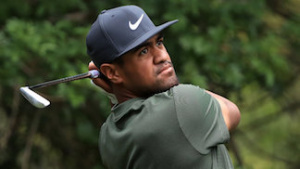 Finau was born on September 14, 1989, in Salt Lake City. He is of Tongan and American Samoan descent, the first person with this ancestry to play on the PGA Tour. He began playing golf at the age of eight when he noticed his younger brother Gipper’s success with the sport. Both brothers were coached by their dad and practiced in their garage and a 3-par golf course near their home; they used used equipment purchased from Deseret Industries. Tony eventually became the junior world champion and the Utah State Amateur champion. After family prayer and fasting, he turned professional at the age of 17 instead of accepting scholarships to play golf at Brigham Young University or University of Nevada Las Vegas. He is a member of The Church of Jesus Christ of Latter-day Saints. He and his wife, Alayna, are the parents of four children. He also heads the Tony Finau Foundation, which gives to his local community and helps underprivileged youth realize their potential. He wants the foundation to create a golf academy where youth will learn integrity and honesty. He created it in honor of his mother, who died in a car accident in 2011. Finau is a cousin to basketball player Jabari Parker. This page was last edited on 18 March 2018, at 22:24.